Heating Solutions | Heatback | Mathios Refractories S.A. In conventional fireplaces almost all the heat from the burning logs, goes lost through the chimney. 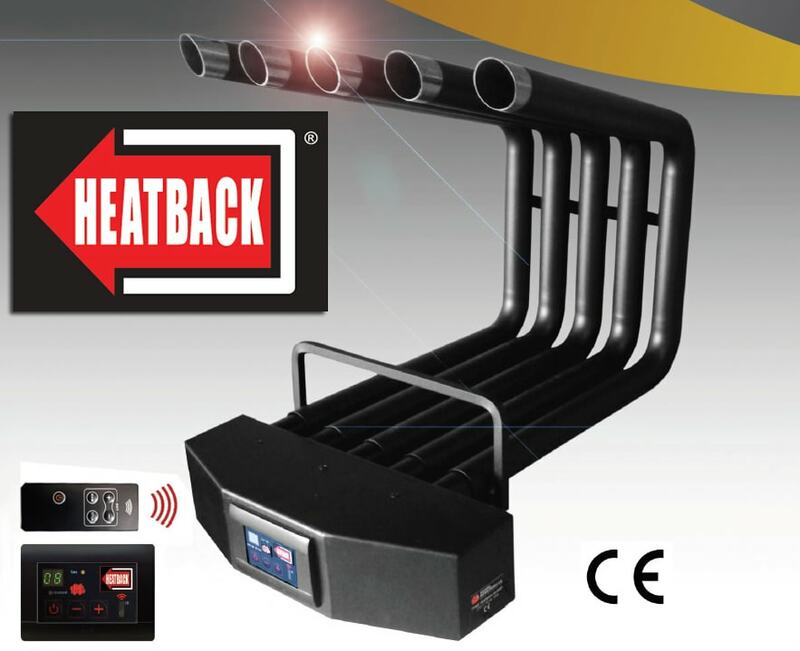 Heatback collects this energy before it gets lost and gives it back to the room, increasing its temperature. Up to 50.000 BTU heat gain. Adapts its depth to almost every open fireplace. Portable. Does not need installation. Powerful and quiet, low consumption fan. Each tube now comes in two interlocking pieces that allow the top parts to move freely, in any direction. It is ideal for corner, two and three sided fireplaces. The height of Heatback can easily be tailored to your needs. Just add the appropriate tube extension between the top and bottom tubes and…done! 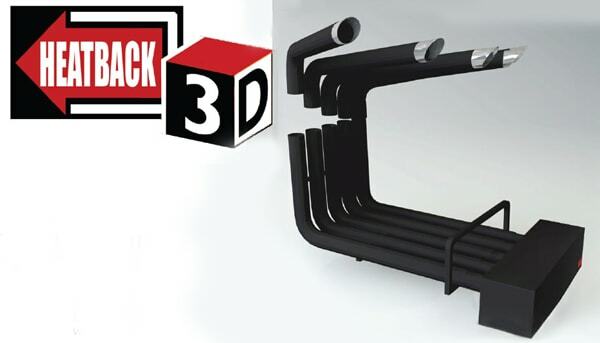 Depth can be adjusted by 35cm so that Heatback fits perfectly in every fireplace.